(Natural News) Analysis of a rare meteorite from Mars has provided new evidence that the planet crystallized and formed its crust very quickly. An article on Science Daily stated that this rapid crust formation translates into a much better chance for alien life to have formed and existed on the Red Planet during its early years. The paper was published by researchers from the Centre for Star and Planet Formation at the Natural History Museum of Denmark, which is part of the University of Copenhagen (UC). The team has just finished studying a meteorite called “Black Beauty,” which came from Mars and provided them with vital clues about Earth’s nearby neighbor. 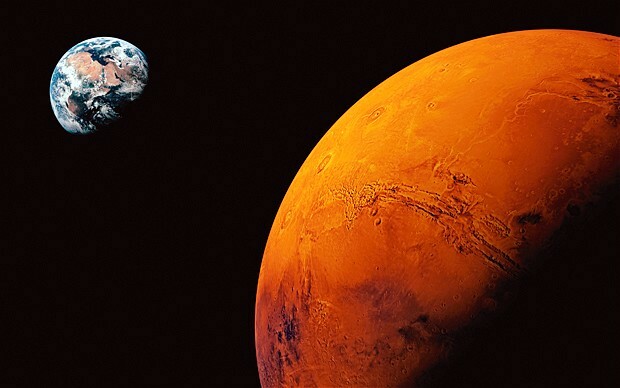 The Danish researchers reported that the surface of Mars started out as a worldwide ocean of molten rock during the formation of the planet and the rest of the solar system. However, it took much quicker than usual for the liquid magma to cool off and crystallize into a solid. That means Mars developed a solid crust way ahead of the Earth. A solid crust is a prerequisite for housing oceans of liquid water. The appearance of a solid crust is a big part of the early life of terrestrial planets like Earth and Mars. And it so happens that the meteorite called Black Beauty brought bits of the crust of its home planet with it. Of the many Martian elements and minerals that Black Beauty bore to Earth, the most important one for the UC researchers is zircon. Rare enough by itself, the samples of zircon in the meteorite happen to also contain plenty of the related mineral hafnium. Bizarro went on to describe zircon’s role as a time capsule. The hafnium locked within the zircon nodules dated back to the earliest crust of Mars. Based on his team’s analysis, the hafnium formed before the oldest zircon in Black Beauty had been created. Furthermore, at this point of time, the surface of the Earth was still molten and would not solidify for a long while. In order to acquire this information, Bizarro and his team did something most researchers would have never dared to do: They crushed part of the rare, expensive meteorite. When locals stumbled across Black Beauty in the Saharan Desert back in 2011, the meteorite weighed nearly 320 g. Each gram of the invaluable space rock is now worth around $10,000. In 2017, Bizarro managed to get the resources to purchase 44 g of Black Beauty. His team proceeded to grind five precious grams of that chunk. Decide for yourself if Mars could have hosted alien life by reading more articles at Cosmic.news.